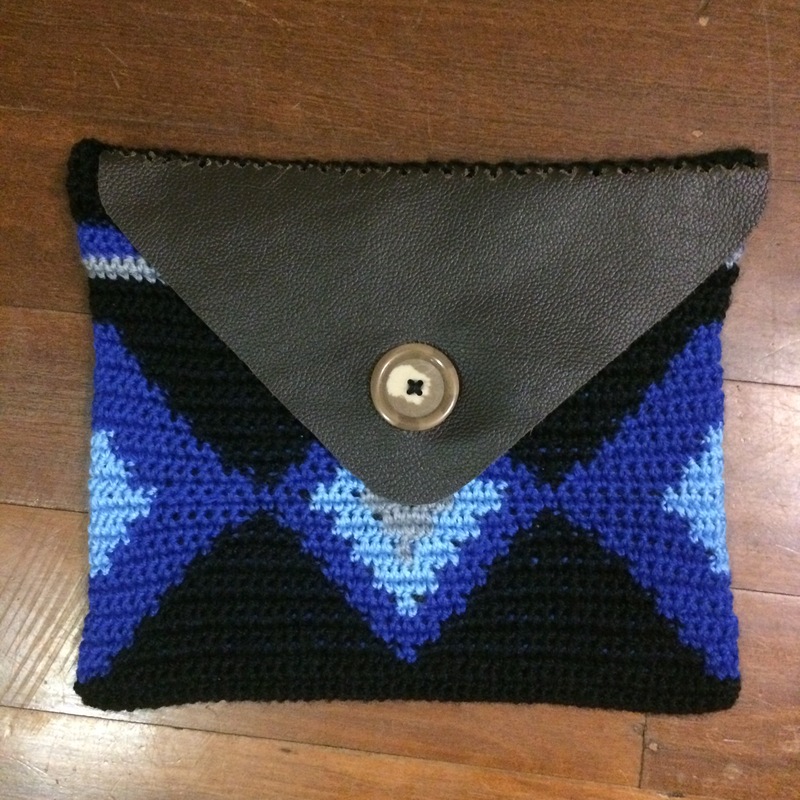 I finally finished my crochet clutch today. 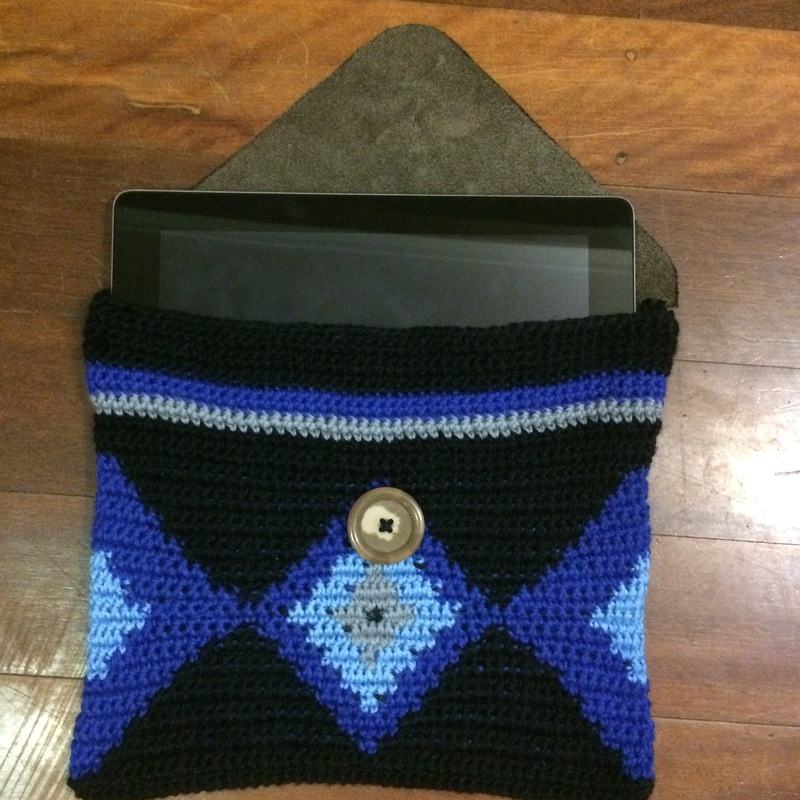 I learnt a lot while doing this project, especially not to tighten my stitches too much! My relicanth is finished, I’m moving on to my next Pokemon now. Happy Friday lovely people! 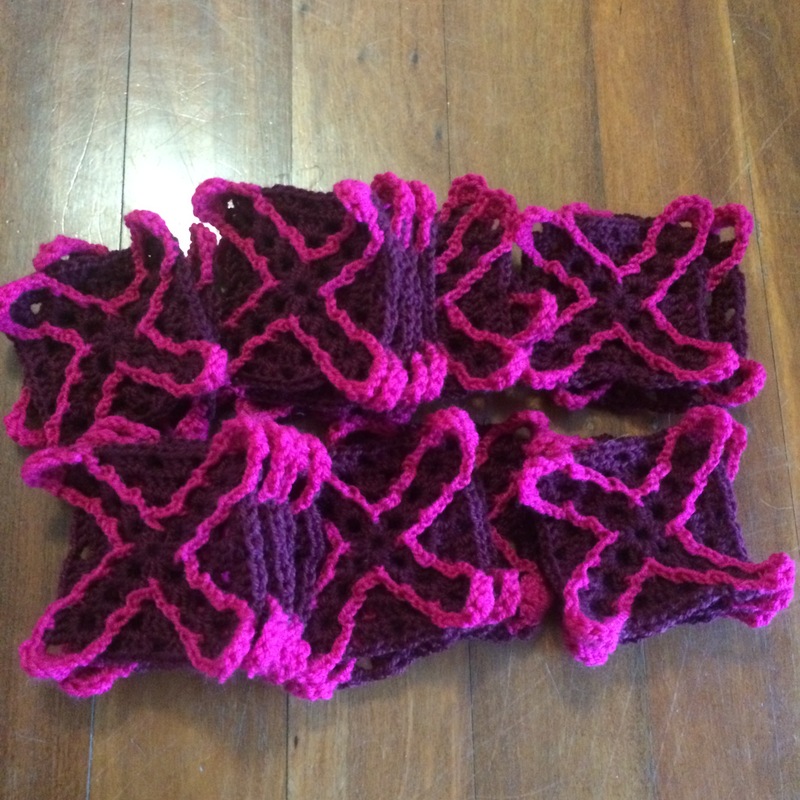 Once again it is time for the yarnspiration CAL update! 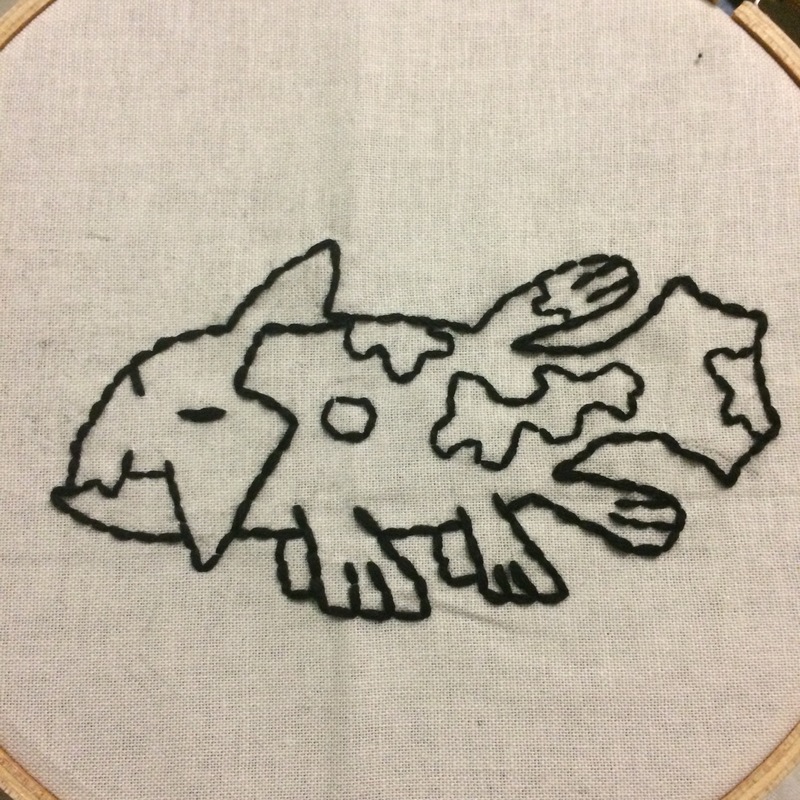 Week 3 was 2 rounds, one in colour C and one in colour D.
Also I got started with a stitching project, I’m embroiding water Pokemon on a cotton square. I’m starting with relicanth, he is one of my favourites. 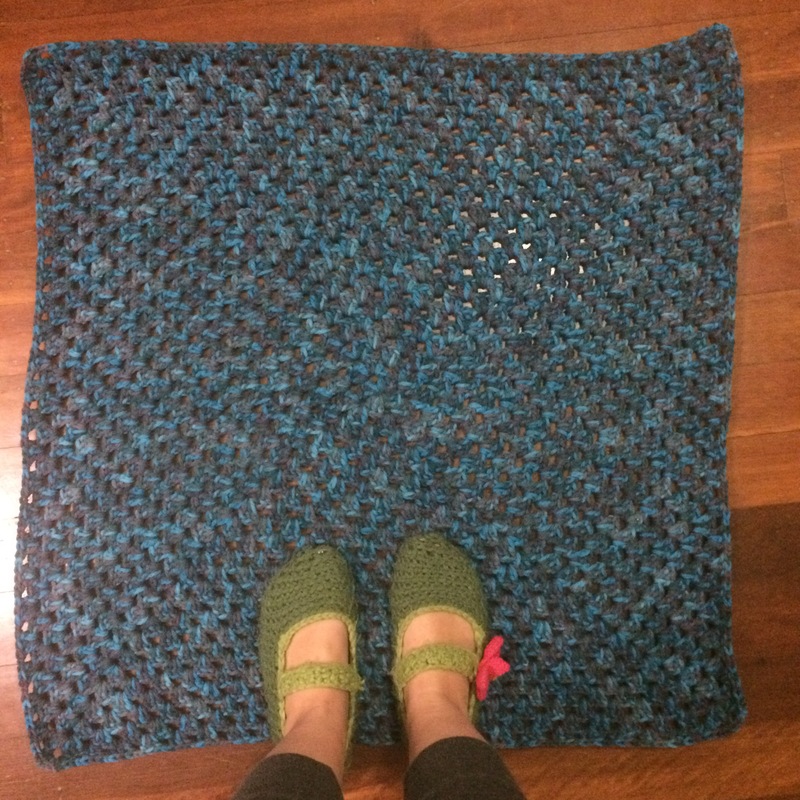 I used a 1.25mm crochet hook with some green floss and followed a free pattern available here. Also, the spotlight next to my place (you guessed it, it’s a craft shop!) just got revamped and has a massive sale atm. I’ll probably do some shopping to stock on more yarn and floss (not that I really need it but I can’t resist a good sale). 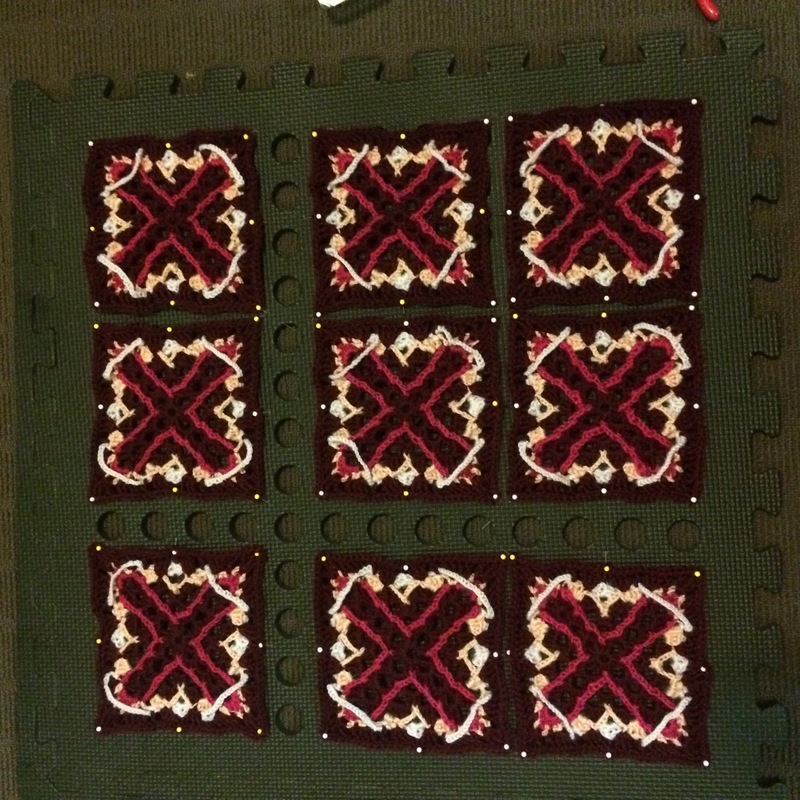 After a nice and relaxing weekend, I am starting the week with yet another update on my wips of the moment. 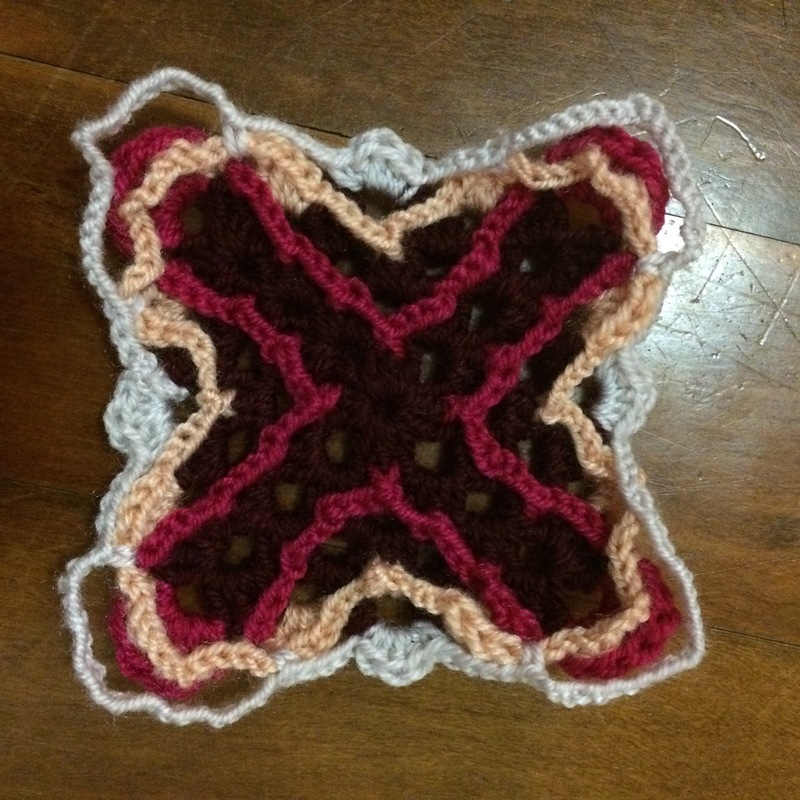 My Veronica granny square is now going to be part of a picnic blanket for this summer. 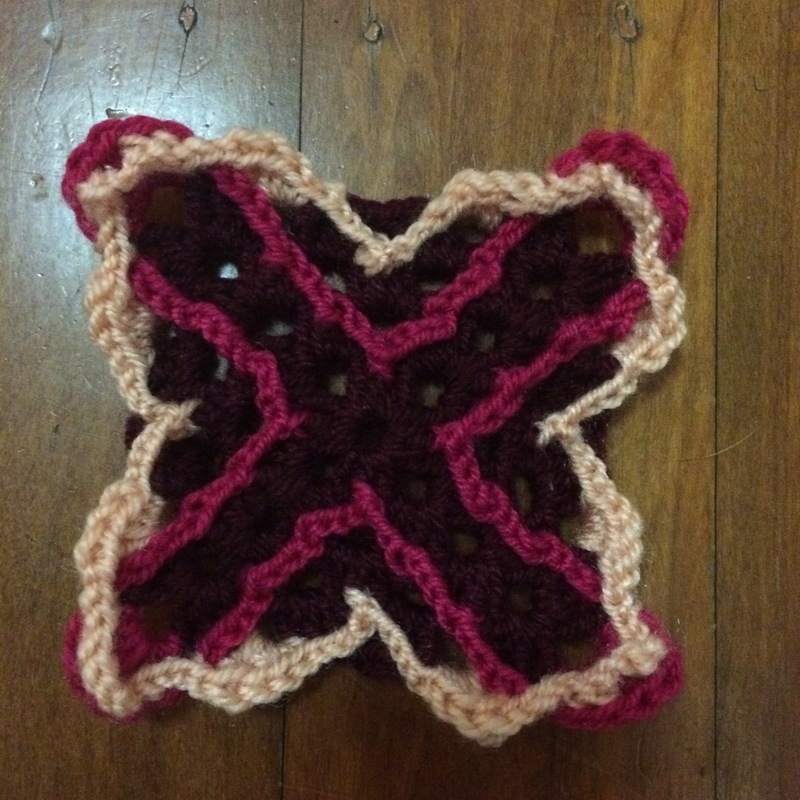 I will crochet 4 of those squares, attach them together and line the blanket with a waterproof-ish fabric. 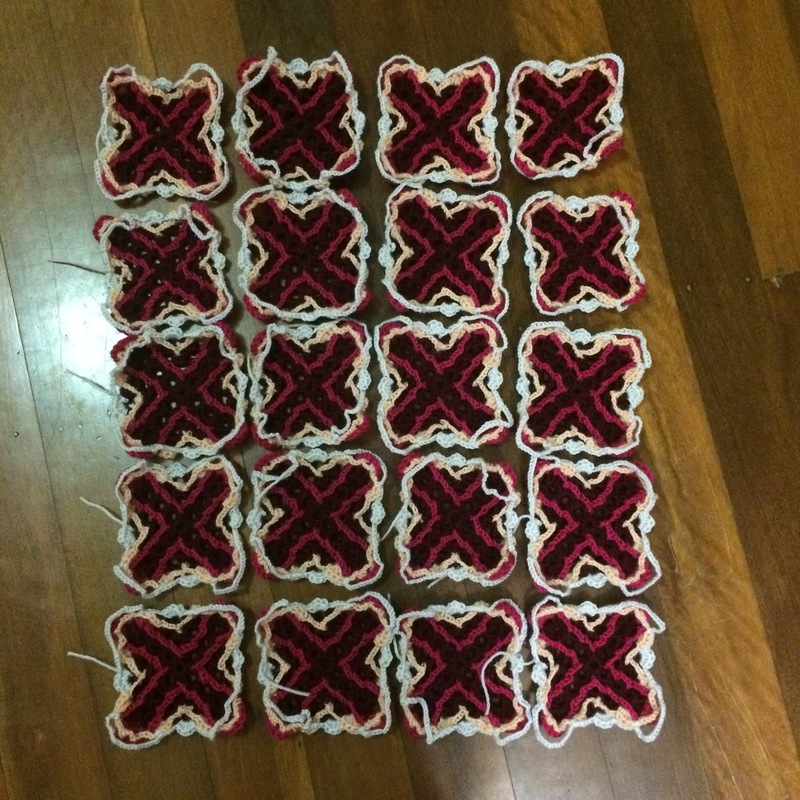 I am taking suggestions on the colour of the other squares (I want 2 blue and 2 of another colour) and also on the fabric, I have no idea what would make a good lining. 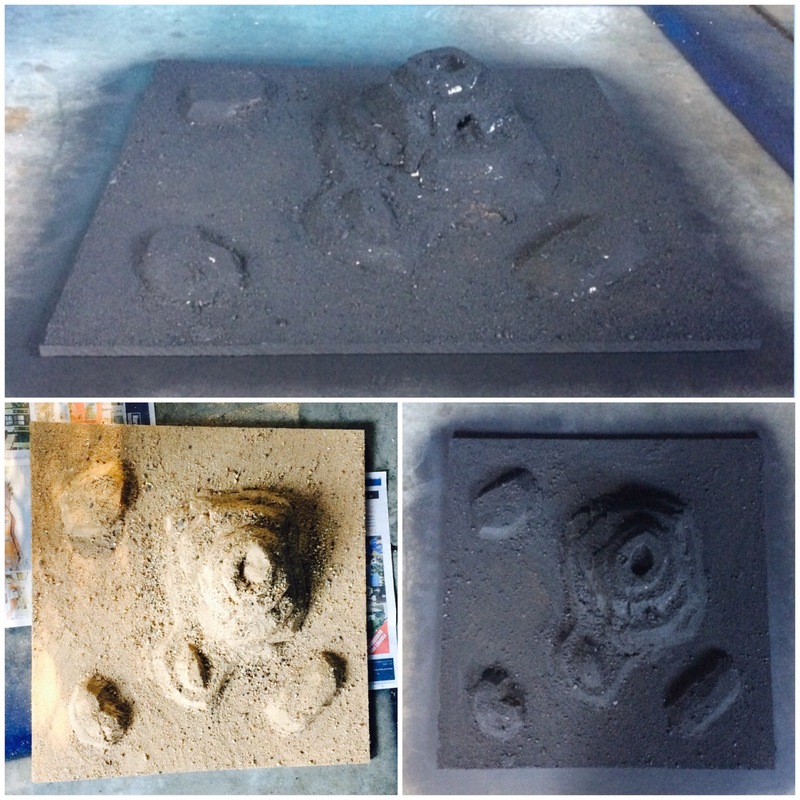 I have also (finally) sanded and spray painted my volcano piece of terrain, now I just need to add some extra paint and some lava. 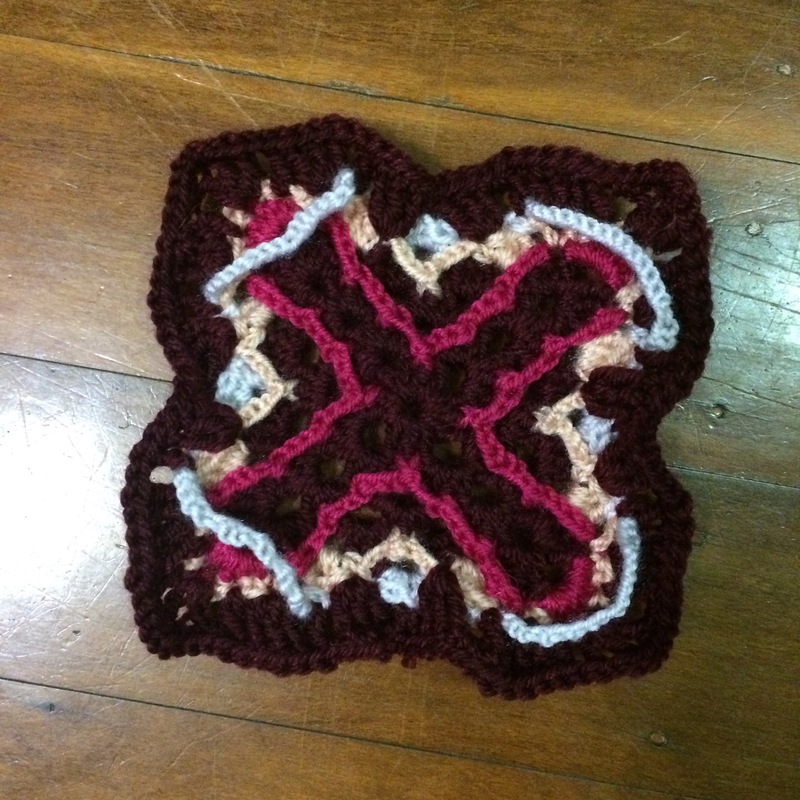 I was thinking of using resin coloured in red/orange. Have you ever used coloured resin for modelling? 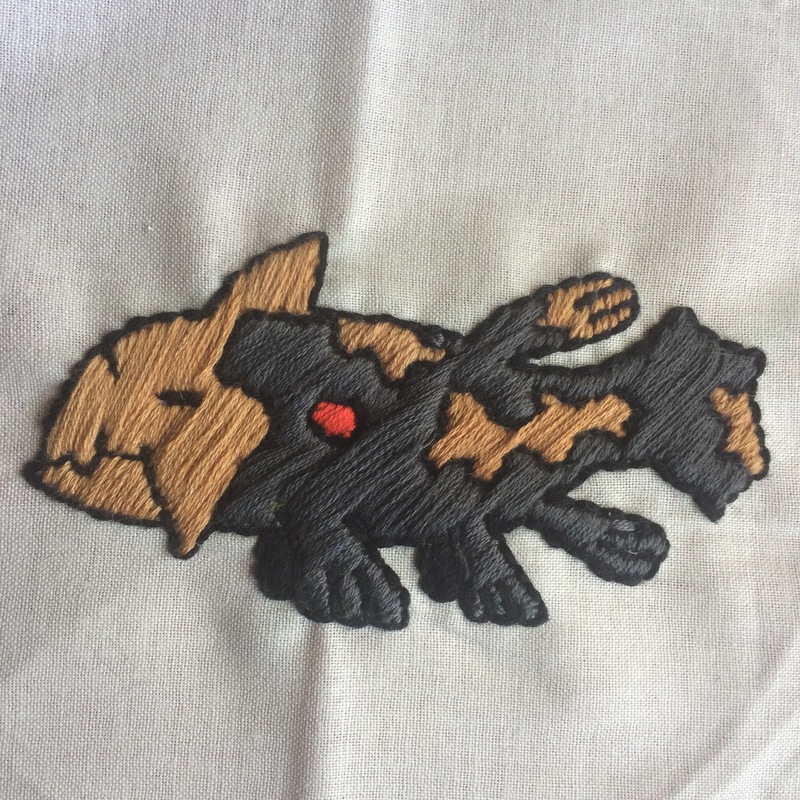 Or maybe you have suggestions for a lava effect? Today, we have public holiday for the Ekka festival. 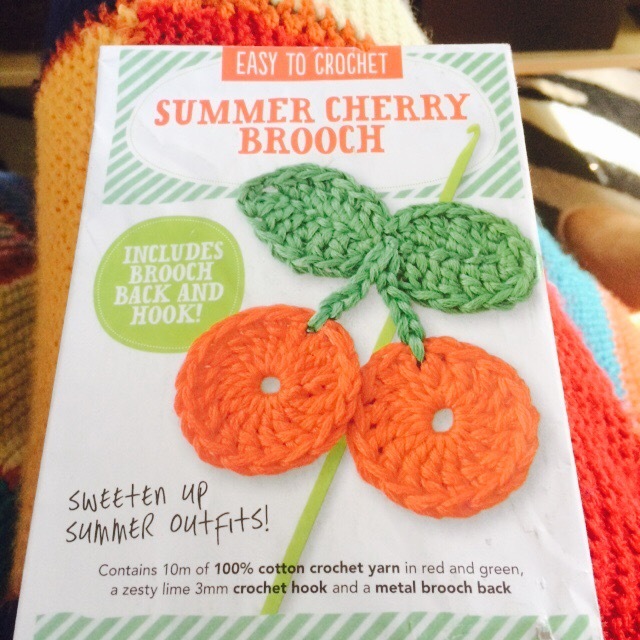 I’m just spending a relaxing day at home doing some crochet! 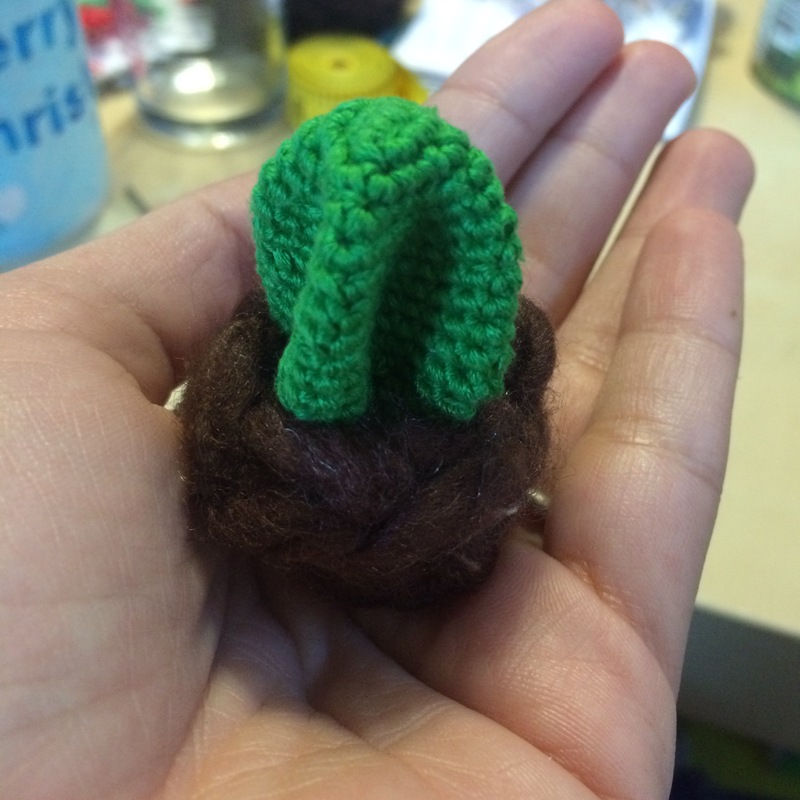 I finally finished this cute brooch. I’ll probably use it to decorate my bag. 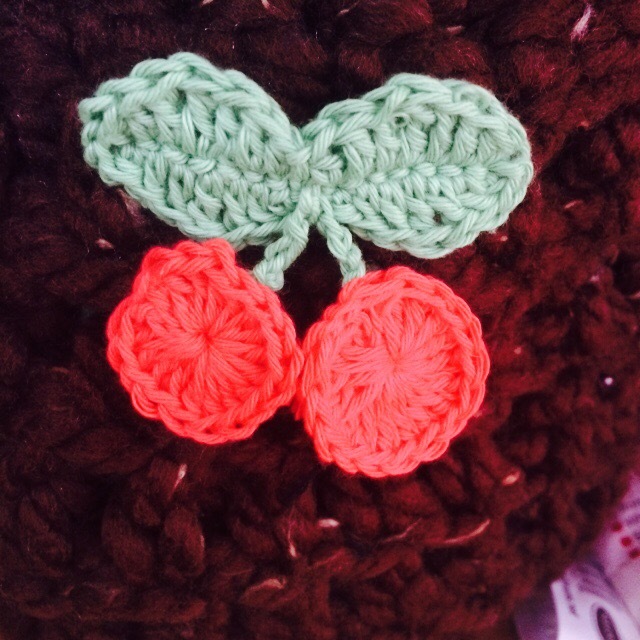 I’ve attached my cherries at the back rather than from the top and I completely closed the magic circle so that there isn’t a hole in the middle. 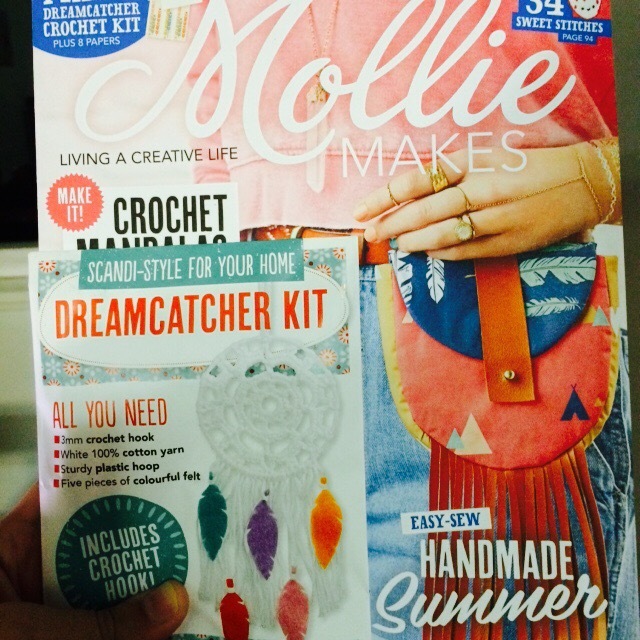 The man is out of town for a conference so I thought I would treat myself to the latest edition of Mollie Makes. 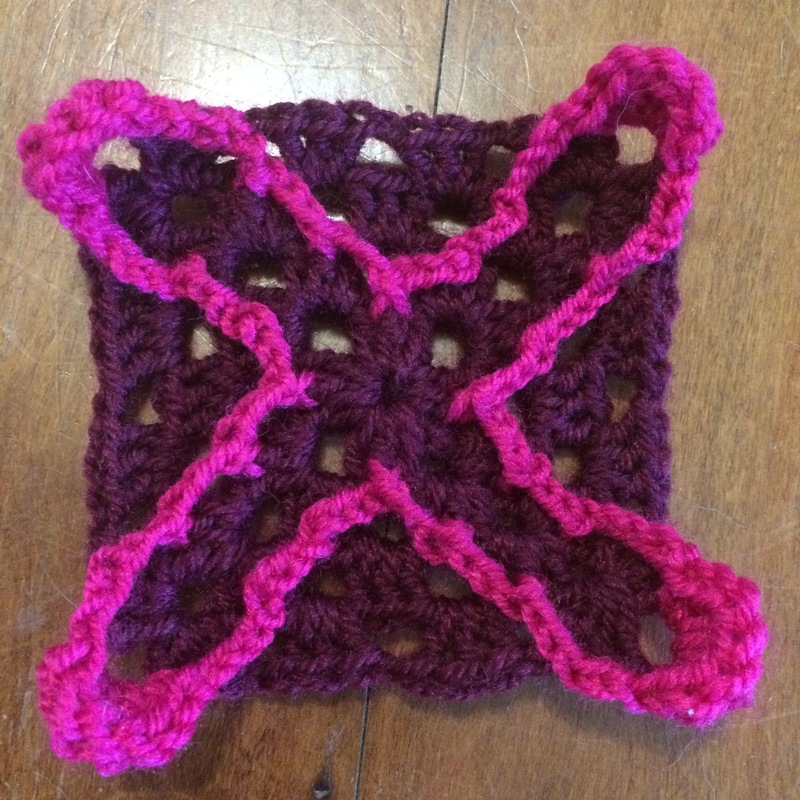 The free gift of this edition is a dream catcher kit, which I’ll probably make during the week. Have a good week crafters! My friends and I went to the coast this weekend to catch up. Since we all graduated from uni, we all have been so busy that it was quite hard to organise but I’m so glad we did! 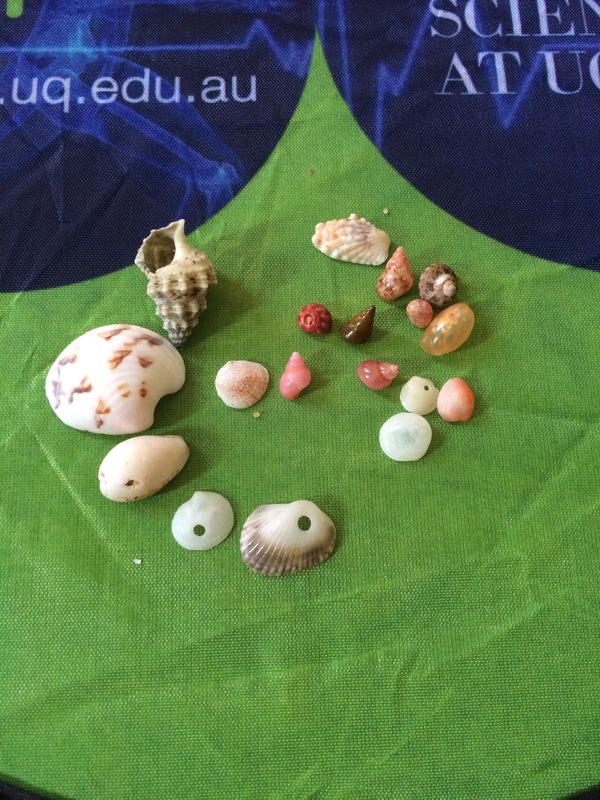 Because most of us are marine biologists and the weather was lovely we just had to go to the beach, looks for interesting inverts and collect shells 🐚 Here are some I found and I’m looking for ideas to convert them into crafting material. 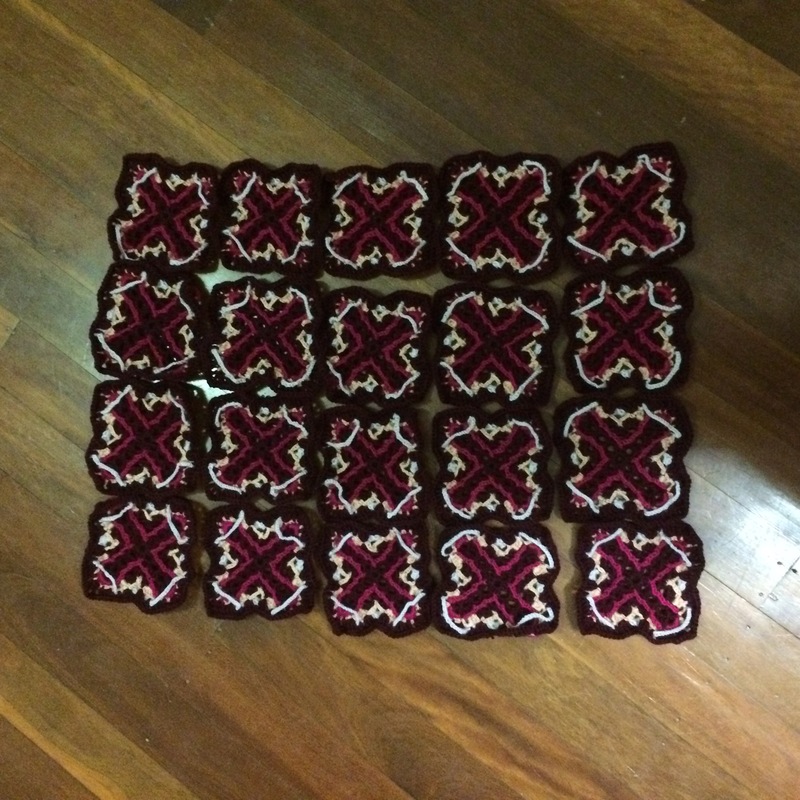 Some of them already have a hole and will probably become necklaces. 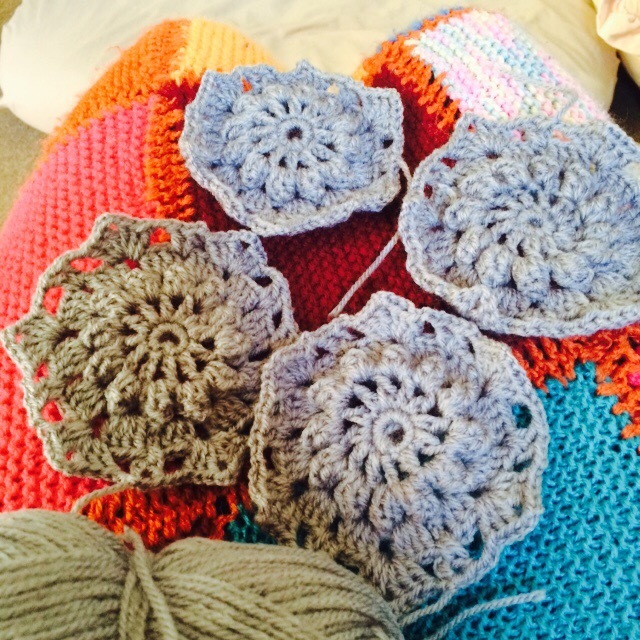 I also found some time to crochet more hexagons for my WIP blanky.